It’s good when big brands fail tremendously with their social media communication because it’s a lesson you can learn without feeling the pain. 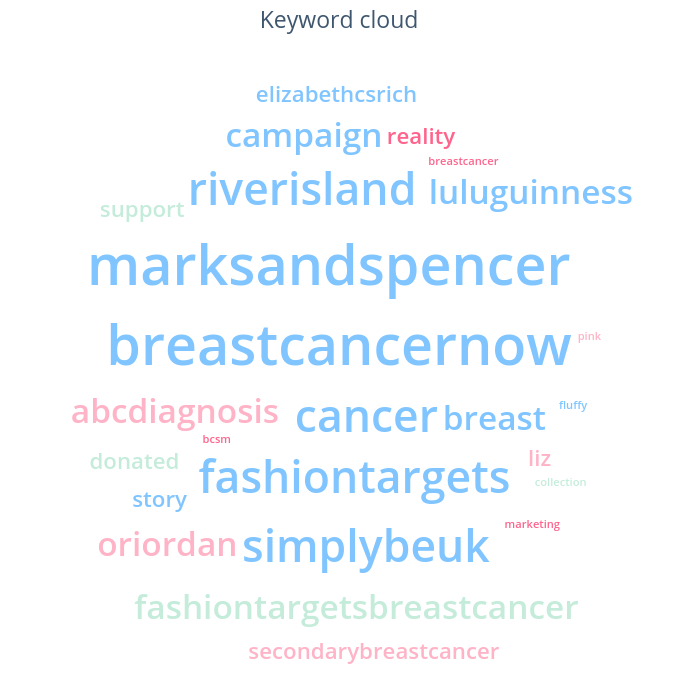 A couple of days ago Mark & Spencer released their collection promoted with #bosombuddies to support breast cancer research (30% of the purchase price from the collection goes to fund the research), but shortly upon the release of the campaign it brought the social media near the boiling temperature. The purpose is excellent so why it went so wrong? How could M&S avoid the fail? Use social listening and learn about your audience! As a Digital Communication Expert and Social Media Strategist, I work with a variety of clients, and hardly any use social listening tools unless I introduce them to it. It is essential to know what people talk about you or about the topic you want to own to strategise your campaigns. Let’s look at M&S. Well, they certainly aren’t learning from their mistakes, as in 2015 they already experienced a backlash on their previous breast cancer campaign #showyourstrap. Sure, some celebrities joined, but breast cancer survivors were offended how shallow and unrealistic the image was. They called it “humiliating & insensitive” and created #showyourscar hashtag to show the reality of breast cancer. How could they prevent the faux pas this time? By checking how the campaign was perceived by online audiences, using a social listening tool. It would instantly give them an overview of all the content created online. It will show positive, neutral, and negative entries about the campaign that causes the rage. Quick analyses will show that what people wanted was authenticity! With Millennials and Generation Z being a primarily social user you need to take into consideration their values. Authenticity is one of them. Don’t pretend things are sweet if they are not; it resonates far better. Find accounts of influencers who are inspirational and analyse why. By using a social listening tool in a crisis, you can in an instant find those who influence in that niche. Read their posts. Find out what resonates with their followers and how is their content different from what you have done or are planning to do. M&S certainly hadn’t reflected on their previous mistake in 2015, or they would have changed things up a little. The entire approach to the campaign looks and feels like it is detached from the real world. It feels like someone who never used social media, had a campaign idea and everyone who might have thought differently was too scared to speak up. The lack of understanding of what resonates and what public wants nowadays makes me feel they haven’t done any social media research, like for example finding key phrases related to the campaign. We all make mistakes, also in business, and it’s not an end of the world. The success comes from learning and adjusting what we do going forward, to fail again but to fail better. So what could M&S do this time to learn? Well, they could do what we did, type in their campaign hashtag into the social listening tool and have an extensive report of all the content created in the last few days. Then reach out to those cancer patients who like @abcdiagnosis or @bowelbabe are raising awareness by being authentic. Deborah James is a journalist fighting breast cancer and she is active on Instagram regardless if it’s from the hospital bed, dancing with a glass of wine, or picking up prizes for the award-winning cancer-related podcast. She does collaborate with brands too. Now, I know Deborah myself (I’m a blogger, and we met via industry events) so we often chat online, but a quick search on the hashtag used for the latest M&S campaign brought multiple results of content linking to Deborah’s account. It takes a tweet or an Instagram message to reach out, and you could change your future marketing to be more aligned with what the audience wants. Let’s not forget that as much as brands do it for the excellent cause they also do it to make money. Finally, by using a social listening tool, you can check how the competition is doing things and what is the response. It might be harder if you are doing something unique, something that never has been done but let’s look at the M&S case again. Multiple clothing brands run similar campaigns. M&S could use the competitor tags for their campaigns to gain an overview of the content they make. Which influencers engaged with it and what was the public response to the campaign. Then they could have pulled out of it things which worked for the competition and those that didn’t. Next, they should have gone back to the drawing room and evaluated their ideas. I hope they will do it now. I might even send them a link to this blog and show them my quick research. Social media listening. Is Google Alerts enough?